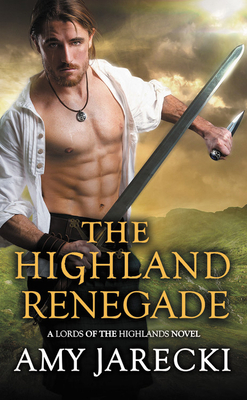 Famed for his fierceness, Laird Robert Grant is above all a loyal Highland clan chief. But when redcoats capture his rival's daughter, he sets aside their feud and races to her rescue. Aye, Janet Cameron is beautiful, cunning, and so very tempting, but a Cameron lass is the last woman he should ever desire. Janet refuses to meekly surrender, not even when surrounded by foes. She takes every chance to escape, first from the English soldiers and then from the wickedly handsome Robert. Yet with each day they spend together, his unexpected gallantry chips away at her reserve little by little. As danger and treachery loom, can she trust him enough to choose love over vengeance? Award winning and Amazon All-Star author, Amy Jarecki likes to grab life, latch on, and reach for the stars. She's married to a mountain-biking pharmacist and has put four kids through college. She studies karate, ballet, yoga, and often you'll find her hiking Utah's Santa Clara Hills. Reinventing herself a number of times, Amy sang and danced with the Follies, was a ballet dancer, a plant manager, and an accountant for Arnott's Biscuits in Australia. After earning her MBA from Heroit-Watt University in Scotland, she dove into the world of Scottish historical romance and hasn't returned. Become a part of her world and learn more about Amy's books on amyjarecki.com. "Jarecki further enhances her reputation for crafting stellar Scottish romances by giving readers a knockout love story, with an action-packed plot richly imbued with colorful period details and a perfectly matched hero and heroine whose sensual exploits are hot enough to warm the coldest of Scottish nights."